So, being sent out by the Holy Spirit, they went down to Seleucia (Acts 13:4). Seleucia was the seaport and harbor from which Paul and Barnabas left with John Mark for their first missionary journey (ca. AD 48). 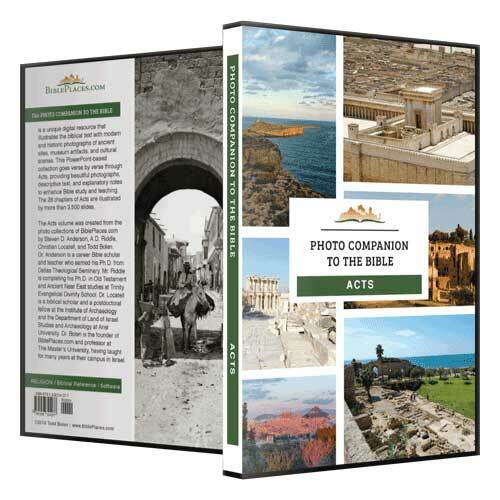 It is also likely that they landed here on their way back from Attalia to Antioch (Acts 14:26), and that Barnabas and John Mark left from here when parting company from Paul and heading for Cyprus (Acts 15:39). And when they arrived at Salamis, they proclaimed the word of God in the synagogues (Acts 13:5). Barnabas was from Cyprus (Acts 4:36), so traveling there early in their missionary journeys was a logical decision. 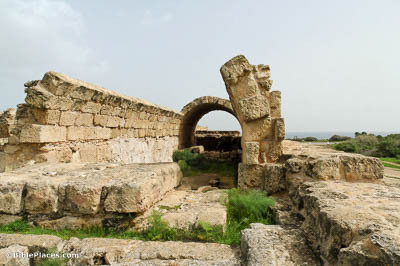 Salamis is one of the primary cities on the 140-mile-long (225 km) island of Cyprus, and the arch pictured here was probably already standing when Paul and Barnabas visited. They proclaimed the word of God in the synagogues of the Jews (Acts 13:5). Very few Jewish synagogues from the first century AD have been discovered. 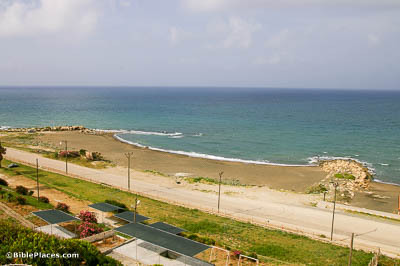 One of them is located in Magdala, in the region of Galilee. 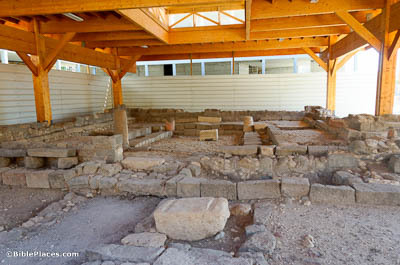 This synagogue at Magdala can help us visualize the type of synagogues where Barnabas and Saul taught. And when they had gone through the whole island as far as Paphos (Acts 13:6). Paphos, the final stop of Paul and Barnabas on Cyprus, was the capital of the island. 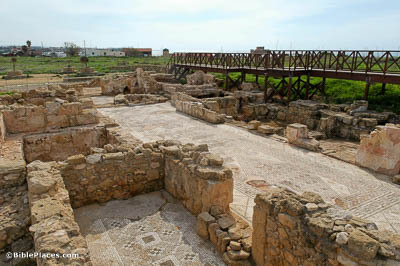 The site has abundant remains from the Roman period, including a number of villas like the Villa of Theseus shown here. These remains provide an illustration of the significance and wealth of the city from this time. And Paul and his companions set sail from Paphos and came to Perga in Pamphylia (Acts 13:13). 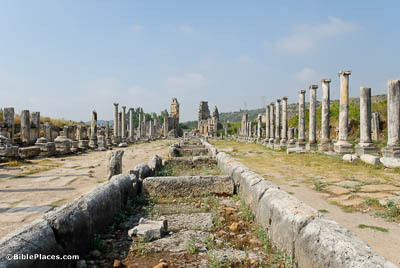 Perga had already existed for centuries before the Romans occupied and reconstructed it. The city was especially known for the worship of Artemis. Shown here is the Perga’s major north-south street with its refreshing water channel running down the middle.